Want to convert WebM to MP4? WebM is a fairly new video format developed by Google as an alternative for the widely used the MP4 format. To play WebM files on your computer or mobile device, you’ll probably have to install a special player, components, or plug-ins. But there is an easier way: just turn a WebM file into any popular video format, then open it with no problems. 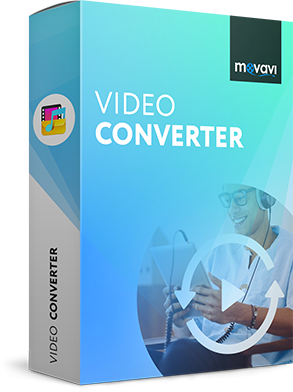 Movavi Video Converter is the perfect choice for this purpose; with this handy software tool, you can change WebM files to MP4 in no time. The app also supports dozens of other formats, including HD. 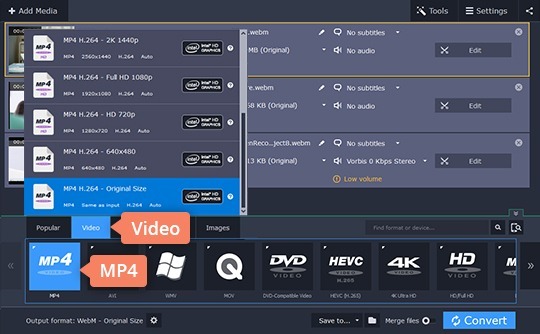 To try these and other powerful features in Movavi Video Converter, download the appropriate version for Windows or Mac and follow the steps below. 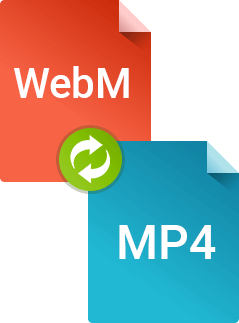 Easily convert WebM to MP4 using our short and simple guide. 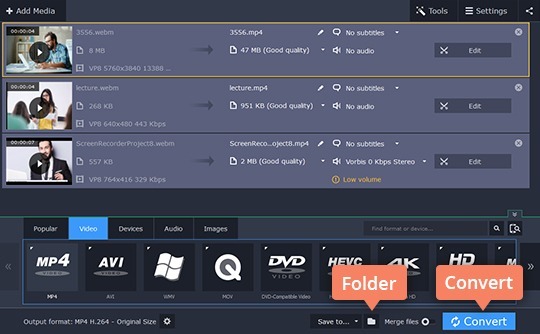 Click the Add Media button in the program interface, select Add Video, and add a file in WebM or any other format that you want to transform into MP4. You can add more than one file to take advantage of the built-in batch conversion feature. 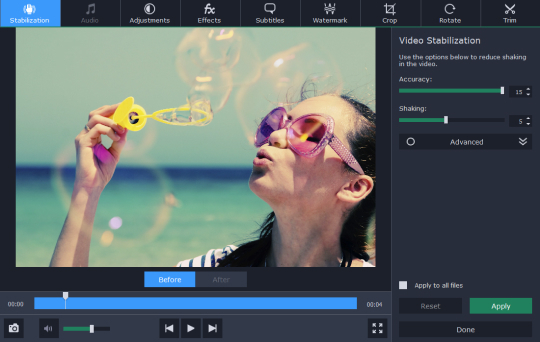 You can first edit your videos in the app’s editing tool. Access it via the Edit button in the right part of the file info section. Try changing the parameters in the Stabilization tab to improve your shaky footage videos. Adjust the sound volume in the videos or even lessen background noise in the Audio tab. Set the brightness, contrast, saturation, and many other parameters in the Adjustments tab. Apply different filters to your videos in the Effects tab. Insert subtitles in Subtitles or add a particular watermark in the respective tab. Trim details you don’t want, rotate your footage, or cut its edges in the tabs Trim, Rotate, and Crop. You can also use the converter to easily shrink large files. Click the size value indicated in the file description. A dialog box will open, in which you can choose the size, quality, and bitrate values. Click the Convert Sample button once you’re finished to check how the resulting file will look like. Expand the Video tab at the bottom of the program window and click MP4. You’ll see a list of presets for MP4 videos – choose the one that suits you best. To ensure the file is compatible with your mobile device, open the Devices tab and choose the preset for your device. When you have set all the parameters, click the button with the Folder icon and choose the directory for your output files. You can use the default folder or select another. 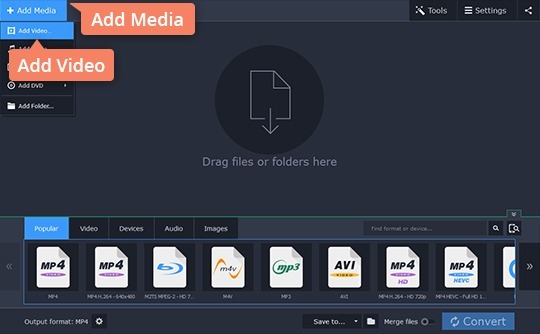 Finally, click Convert to transfer your file(s) to MP4 or any other format you like.